These sweaters are a poly-cotton blend that are masterfully knit into wonderful pet sweaters. 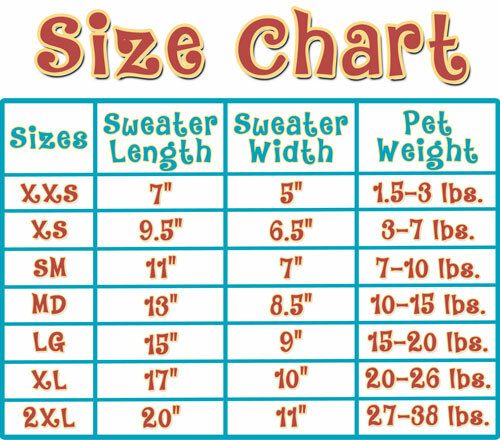 Soft yet durable, they are the perfect addition to any pets wardrobe Sizing charts are at the bottom of the page to assist in ordering the correct sizes.! Get your dog all hooded out for the Holidays!